Marcia Renault Gustave, a policewoman with almost 20 years of service in the Commonwealth of Dominica Police Force (CDPF) was on January 24, 2017 arrested and charged and brought before a Roseau Magistrate on four counts of forgery. 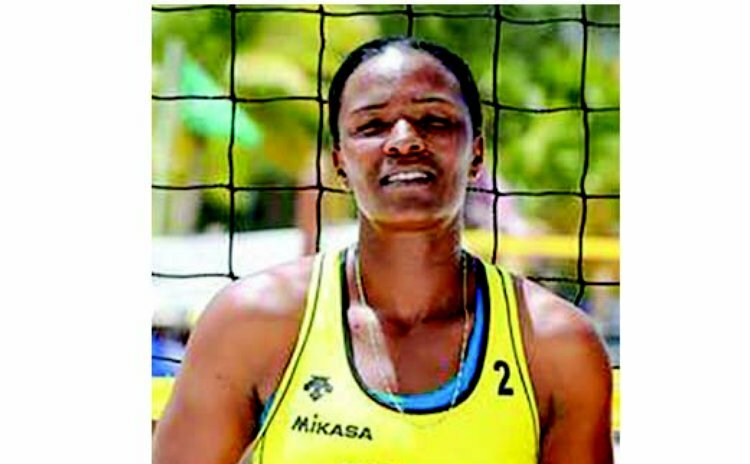 Gustave, a former national volleyball player was arrested on a warrant while on duty at the Magistrates court in Roseau. She appeared before magistrate Asquith Riviere last week where the charges were read to her before a packed courtroom of family members, media and police officers. She was not required to plea as it is indictable and it is to be heard before a judge and jury. According to the documents read out in court, Gustave "did maliciously and for the purpose of deceit forge a certain document, namely three Certificates of Competence # 20764, 20766 and 20765 dated June 23rd 2016 purporting the same to be signed by Julian Laurent an Examining Officer of the CDPF." She is also charged with forging an appointment book at the Traffic Department on June 23rd 2016 professing it to have been signed by Julian Laurent an Examining Officer of the CDPF. The prosecution did not object to bail but asked the court to impose conditions as part of her bail, set at EC$50,000 with her sister, Joyceline Cuffy, as surety. She was required to surrender all her travel documents to the court and she is forbidden from leaving the State without permission from the court. She is also required, as part of her bail conditions, to report every Wednesday between 7am and 7pm to the Roseau Police Station. The matter has been adjourned to May 2nd 2017. Gustave is represented by Attorney-at-law Wayne Norde. Recently, a number of police officer have been charged for various offences. Late last year, another police officer was arrested and charged under the Sexually Offences Act and three police officers have been on remand at the Stock Farm Prison for the past two years after being arrested and charged for the murder of Joshua Etienne in Portsmouth in August 2014.